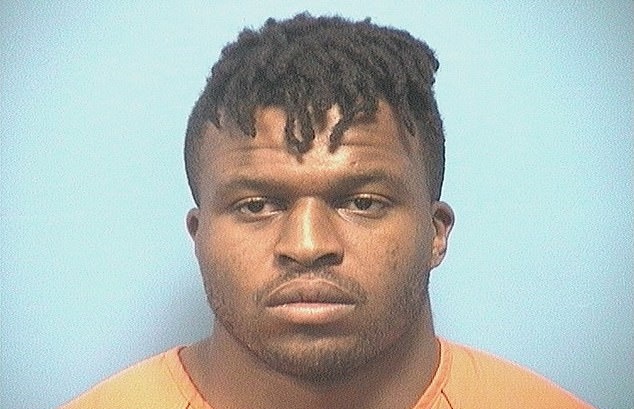 Lawrence Okoye, London 2012 Olympian and former NFL hopeful, was one of 13 people arrested in a prostitution sting in Alabama. 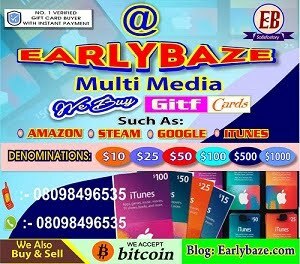 Okoye was snared by the Shelby County Drug Enforcement Task Force four days before he was due to make his debut for the Birmingham Iron in the inaugural Alliance of American Football league. Okoye missed the Iron's opening game against the Memphis Express with a groin injury. 'We've been made aware of it. We are in the process of gathering all the information,' Iron head coach Tim Lewis said on Friday. Croydon-born Okoye attended Whitgift School and won the Daily Mail Schools' Under 18 Cup in 2010. 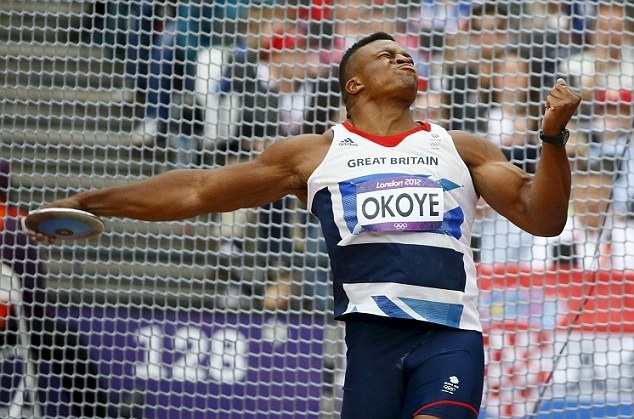 An academy player at both Wasps and London Irish, Okoye opted to focus on the discus and he competed in London 2012, finishing 12th. He holds the British record with a throw of 68.24metres. Okoye, who was offered a place to study law at Oxford University, switched sport again heading Stateside. After declaring for the NFL Draft, he was signed to the San Francisco 49ers practice squad in 2013.